Mwalim DaPhunkee Professor performs with the Mashpee Middle School Jazz Band with whom he is the resident music mentor through Song Keepers, LTD.
As a graduate of Music & Art/ LaGuardia H.S. in New York City, Mwalim views studying music as essential to enhancing the development of math and critical thinking skills in students. All of the members of The GroovaLottos are products public school music programs, and pay it forward. 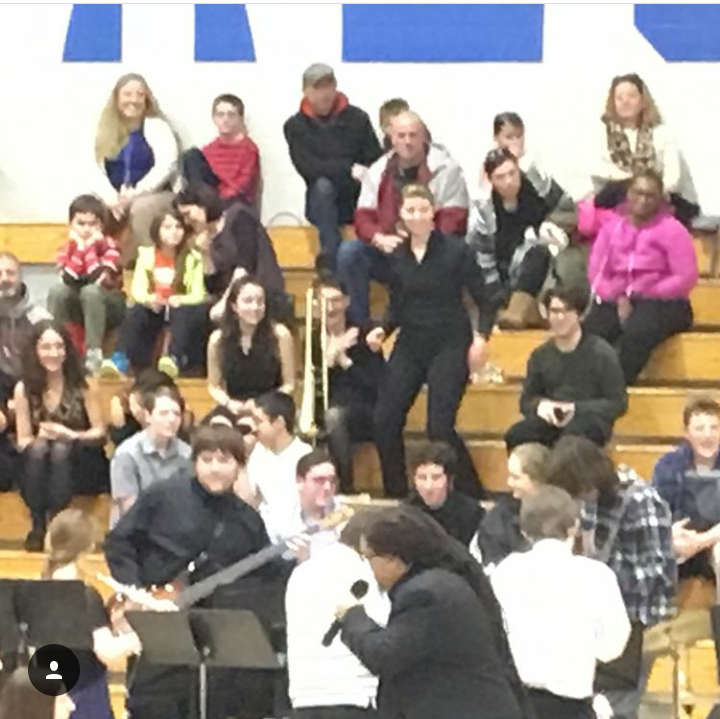 In the March 15th episode of DaPhunkeeProfessor.com, Mwalim displays the fruits of his mentoring with the Mashpee Middle School Jazz Band at the All School Music Concert, where the band performed The GroovaLottos' Grammy nominated hit, "Do You Mind (IfWeDanceWitYoDates)?" featuring solos by student musicians including The ZYG drumming and rapping. Since 2015, The Mashpee Middle School Jazz Band has been of the mentoring projects under Song Keepers, LTD's Artist Mentoring (AMP) program, bringing professional musicians and media artists together with aspiring performers and artists. Members of the jazz band have performed with The GroovaLottos during The Phunk Hits touring concert series as well as the Boston Jazz Fest. According to Eddie Ray Johnson, "We are a band that believes in training our own replacements." Older PostDo You Have a Student Enrolled k-12?